On 26th April 2018, 270 Vision, the developers of BPMpathway and BPMpro technology, were named winners of the Outstanding Achievement Award at the 2018 national Medilink UK Healthcare Business Awards held at the Med-Tech Innovation Expo. The prestigious national awards, held in association with Med-Tech Innovation, celebrate outstanding business achievements, international successes and innovative breakthroughs made across the life sciences and healthcare technology sectors in the past year in the UK. The awards recognise a multitude of achievements and outstanding contributions to life sciences, with the winners chosen from an exclusive shortlist comprised entirely of winners from each of the regional Medilink awards held throughout 2017 and early 2018. The Medilink UK Healthcare Business Awards gala dinner represented the culmination of this year-long competition. On the night, the very best of the UK’s Life Sciences and Healthcare Technology sector were honoured. 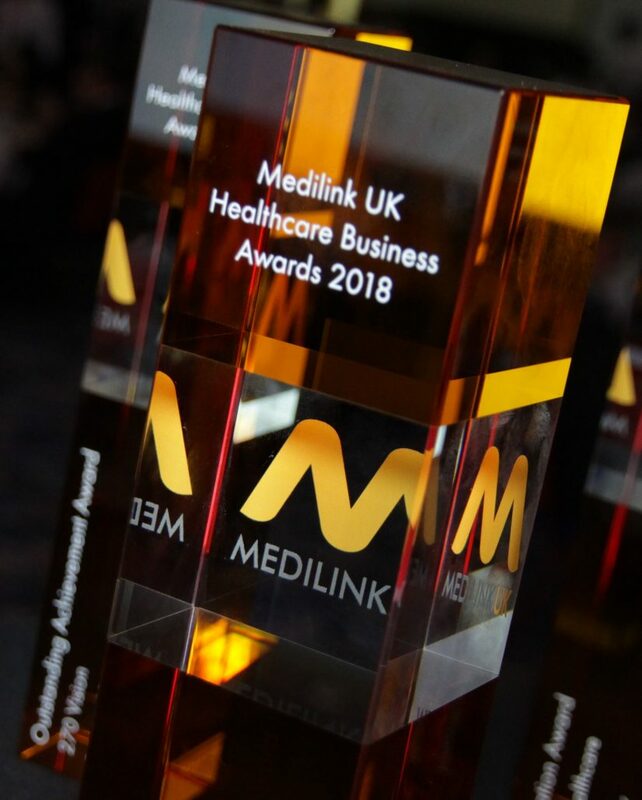 In total, 6 companies from across the country were crowned as Medilink UK Healthcare Business Awards winners. 200 professionals from across the industry came together on the evening of Wednesday 25th April to celebrate with the winners, network with peers in the healthcare business community and share their pride in the industry. In the Outstanding Achievement Award category, sponsored by Morningside Pharmaceuticals, 270 Vision, were named as winners. Promethean Particles, a manufacturer of inorganic nanoparticle dispersions and Elucigene Diagnostics, a company producing in vitro diagnostic products were runners-up.